Welcome to NCOSO Southern Pines where your beautiful smile is our passion! 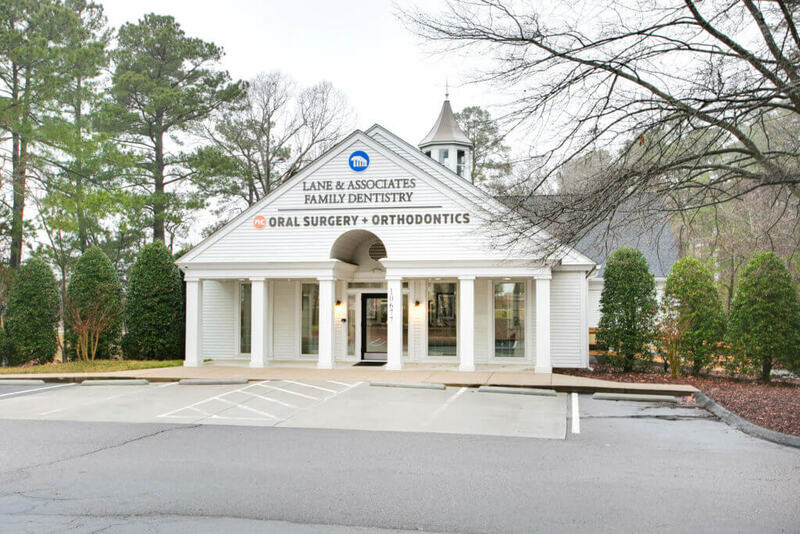 We are proud to offer orthodontic and oral surgery procedures in the Southern Pines and Pinehurst NC area. Our office is state-of-the-art and newly remodeled with a beautiful herringbone lobby that offers a Kids Corner full of coloring and children’s books, a beverage station with coffee, and relaxing TVs while you wait. Our Orthodontic Bay is perfectly spaced for you or your child’s visit to go as smoothly as possible. We also offer a free charging station for your devices but many of our ortho visits are relatively quick so let’s hope you won’t have to use it! We offer several types of orthodontic appliances such as traditional metal braces, ceramic braces, and even clear aligners called Invisalign®. If you or your family member need tooth extractions such as Wisdom Tooth removal or even full mouth extractions for dental implants, our team is here to help! Our Southern Pines NC Oral Surgeons and Sedation Dentists are here to make sure your visit is as pleasant as possible. We offer different types of sedation options including IV sedation and will work with you to make sure your comfort always comes first. 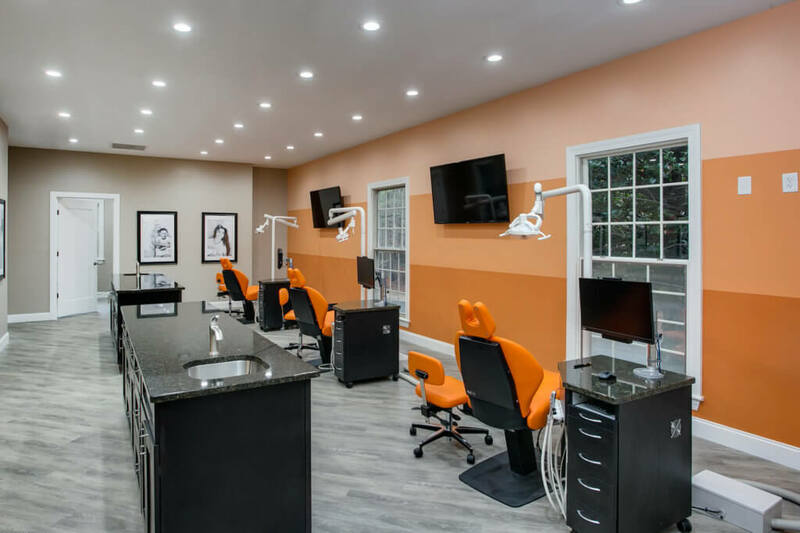 What else does our Southern Pines Orthodontist and Oral Surgery office offer? We offer a FREE orthodontic consultation for your first visit! 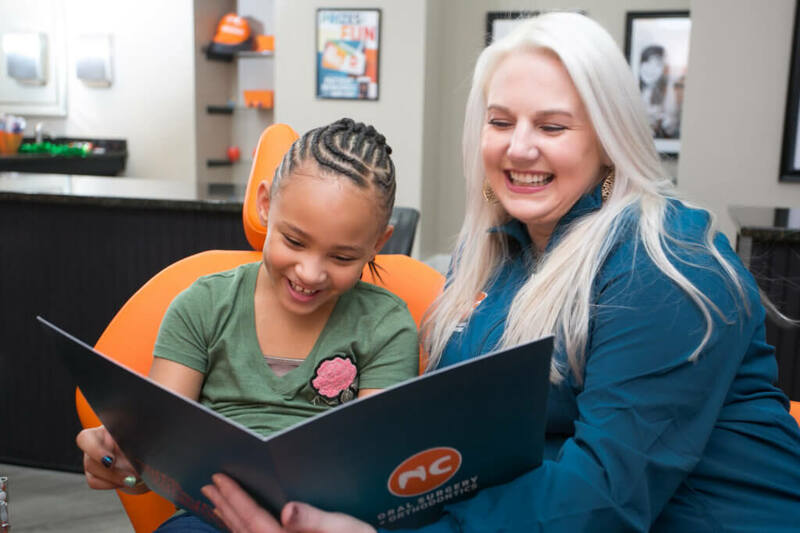 Braces can be fun when you get them at NCOSO Southern Pines! Our beautiful Ortho bay is one of a kind. 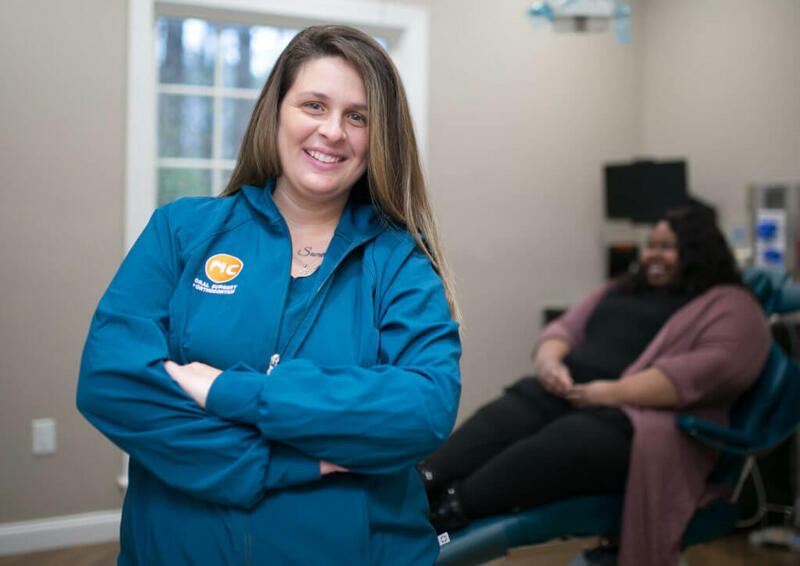 NCOSO also offers Oral Surgery and Orthodontic services in our Cary (Tryon Rd and St Charles Place), Dunn, Garner, Greensboro, Hamlet, and Raleigh locations.